The Rhinegeist bi-annual blood drive campaign with Hoxworth Blood Center is coming back on Thursday, September 27th from 9am-2pm. Donors will receive a $1 beer voucher. 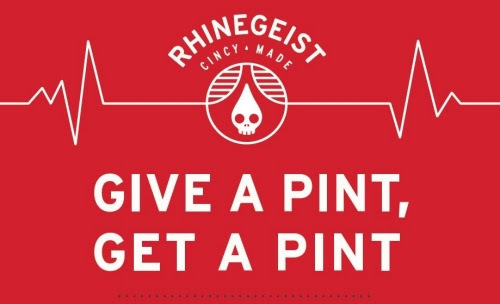 If you're willing to extend your arm and donate a pint of blood in the taproom we recommend scheduling online at www.hoxworth.org/groups/rhinegeist although walk-ins are welcome.